Tony has worked in Further Education for over 35 years and was Principal of Dumfries and Galloway College until retiring in August 2012. He was awarded the OBE for services to Further Education in Scotland in 2010 and made a Doctor of the University of Glasgow in recognition of his contribution to education. On retirement, he was appointed as Regional Lead for Fife before taking up the same post for the Borders in June 2013. 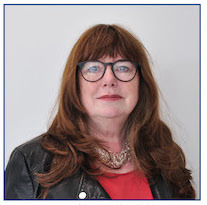 Angela has worked in FE for over 20 years and was previously Deputy Principal (Quality & Transformation)at The City of Liverpool College before joining Borders College as Principal. 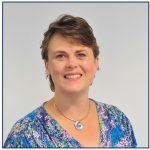 Before joining the FE sector Angela worked within the Service Industries Sector in the UK and USA and joined Bournemouth & Poole College as a lecturer and progressed into a number of middle and senior leadership roles during her time there. 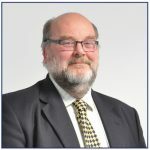 Bryan is Head of Economic Development and Regeneration with Scottish Borders Council and has worked with the Council in other roles since 1996. David has an extensive background in property and management consultancy. 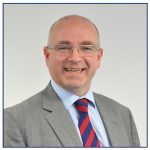 A Chartered Surveyor, he worked mainly in the rural sphere, and has also been an advisor for individual and institutions on purchase and development. He worked with public, private and third sectors as a management consultant and now runs a career change and business improvement consultancy. 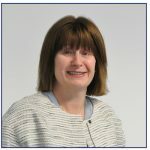 Liz is a public transport professional with experience in operational, safety and sustainability management roles gained with Tyne & Wear Metro, Edinburgh Trams, Glasgow Subway, Renfrew Ferry, Railtrack and British Rail, and she is now Head of Operations with North Yorkshire Moors Railway. Also a Chartered Member of the Institution of Occupational Safety & Health. Jane worked with Perident as Key Account Executive, managing their customers throughout the world. Promoted to UK Marketing Manager for a dental alliance with their parent company. She is now a Chartered Marketer employed on a part time basis at Stark Main accountants. Jane also runs the Simply Delicious shops in Melrose and Galashiels. 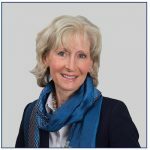 Virginia is an experienced Management Consultant in strategic review, business planning, organisation development and executive development in private and public sector organisations and charities. 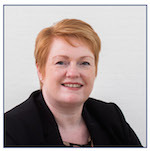 She is Director of Vmg Consultants, partner in a diversified land based business and an active member of the Edinburgh and Lothians Committee of the Institute of Directors. Elaine’s career in Further and Higher Education culminated as Vice Principal of the Royal Veterinary College (RVC), University of London. She was Chairman of the RVC’s registered charity the Animal Care Trust, and was awarded an OBE for service to Higher Education in 2014. Elaine’s contribution to Higher Education was also recognised by Glasgow Caledonian University with a Lifetime Achievement Award in 2017. A former Council Member of the veterinary profession’s regulatory body the Royal College of Veterinary Surgeons, she is currently a member of Court of Queen Margaret University (QMU) and President of QMU’s Graduates’ Association. Sara is the Head of Researcher Development and Assistant Director of the Institute for Academic Development at The University of Edinburgh, responsible for support and enhancement activities for all research staff and students in line with the University Strategic Plan and national policy and funding frameworks. She is Founder and Director of the annual ‘Bang Goes the Borders’ science festival which runs each September. Jen is the Support Staff Member. She has worked at Borders College since 2005, with varying roles from Curriculum Administrator, Learner Success Mentor to her current role as Care Aware Adviser where she supports students who are Care Experienced and Young Carers whilst on their educational journey. 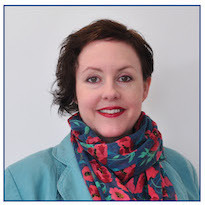 Jen has a wealth of knowledge and experience from working within Borders College and has a Bachelor of Arts in Business Management and a Diploma in Cognitive Behaviour Therapy. Douglas has just completed his studies at Borders College, graduating with a Sports Coaching and Development HND. He campaigned on a platform of making sport and physical activity available to students, mental health support for students, and continuing to improve Borders College Students’ Association. Douglas is also very active in Scottish Archery and is currently the Scotland Team Manager. David is a Lecturer (Assistant Professor) in Entrepreneurship at Edinburgh Napier University Business School. He has previously held Visiting Scholar positions at The Wisconsin School of Business, University of Wisconsin-Madison (USA) and The Skolkovo Institute of Science and Technology (Moscow, Russia). 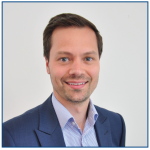 Prior to academia, David spent over a decade working within the biopharmaceutical sector within senior Commercial and Strategy Consulting roles. David is a mature student currently studying Business at Borders College. He is also Vice-President (Education) of the Student Association this year. David is very focused on working alongside the Student President to improve the Mental Health support in the College and support to the Access Department Students’ through the new Student Committee setup. 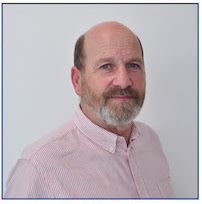 Paul is a member of the Chartered Institute of Management Accountants with over 25 years experience. He has worked in the Energy, Manufacturing and Financial Services sectors covering roles in Finance, Risk, HR, Programme Management and Global IT change programmes. He is currently the Finance Business Partner for Scotland and South West for a Risk, Reinsurance and Employee Benefits company. 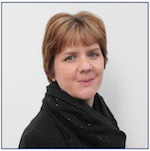 Jess is director of Lemon Tree Consulting Ltd, specialising in online safety and digital citizenship in Scotland. Jess works directly with young people and parents and she also advises organisations on their knowledge, policy and practice in supporting young people to be safe online. Jess was awarded the NSPCC Childhood Champion Award as Schools Volunteer for Scotland 2018. 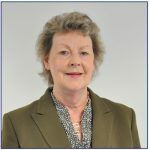 Nuala has worked in Further and Adult Education for over 30 years. Her particular areas of interest are in Adult Literacy and Numeracy, Teacher Education and Learner Support. 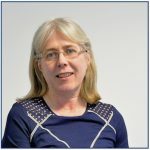 Since becoming a free-lance educational researcher, Nuala has enjoyed a varied portfolio of work, including writing and supporting the delivery of generic and specialist FE teacher training qualifications; evaluating the impact of a three – year, teacher CPD programme and evaluating the learner materials on a national, on-line learning platform. Her research for her Doctorate in Education at the University of Manchester, more recently, allowed her to explore the numeracy resources young people bring to Further Education, even though they have left school with no mathematics qualification, and how these resources are used in the college numeracy classroom. Dave is the Academic Staff Member. He has been a lecturer with Borders College for nearly 16 years at all campuses. Initially he was a motor vehicle lecturer for Schools Plus and Motor Vehicle, He then moved to Newtown as Rural Mechanics lecturer and delivered evening classes. Dave currently lectures in Engineering at Tweedbank and Land-based Service Engineering at Newtown. James has over the years worked in a law firm, an economic development agency, a fund management company and in a retail business. He has considerable experience of working with a number of Boards.